The 2018 Polar Music Prize has been awarded to the Afghanistan National Institute of Music (ANIM) and Dr Ahmad Sarmast, its founder and director, in recognition of how this inspirational organization has used the power of music to transform young people’s lives. Sarmast, along with American heavy metal band Metallica, were presented their awards by King Carl XVI Gustaf of Sweden on Thursday night at a gala event in Stockholm. After announcing the winners in February, the award panel said the Afghan ensemble "revives Afghan music and shows you can transform lives through music." In the 1990’s, Afghanistan’s rich musical heritage, which thrived for centuries, was abruptly halted by the civil war and from 1996 until 2001, music was forbidden and silenced throughout the country. In 2008, Sarmast, the son of a famous conductor, returned to Kabul to establish ANIM. ANIM, a decade on, flourishes and is committed to preserving Afghanistan’s rich musical heritage and to providing a safe learning environment to hundreds of boys and girls. The winners will also get a cash prize of 1 million kronor ($124,000) each. Previous winners of the Polar Music Prize include Sting, Elton John, Ray Charles, Paul McCartney, Ravi Shankar, Ennio Morricone, Bob Dylan, Led Zeppelin, Renée Fleming, Pink Floyd, Peter Gabriel, Isaac Stern, Stevie Wonder, Paul Simon, Gilberto Gil, B.B. King, Emmylou Harris, Yo-Yo Ma, Patti Smith, Quincy Jones, Burt Bacharach, Dizzy Gillespie, Youssou N’Dour, Chuck Berry and Bruce Springsteen. The prize is traditionally given to one person from the pop world and one from the classical or jazz genre. 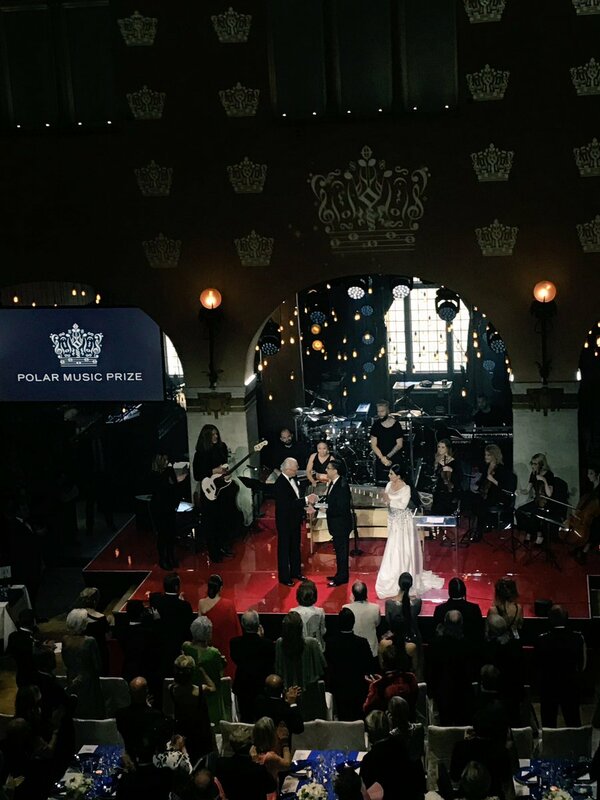 The Polar Music Prize is one of the most prestigious and unique music prizes in the world, crossing over musical boundaries and awarded to individuals, groups and institutions in recognition of exceptional achievements. The king of Sweden on Thursday night handed over the award to the Afghanistan National Institute of Music’s founder.